A purpose designed fencing system which has been approved by ROSPA with each installation customised to individual requirements and location. 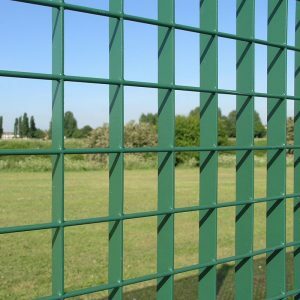 The robust steel grating and heavy duty posts offer the most durable solution for areas with a problem of vandalism. 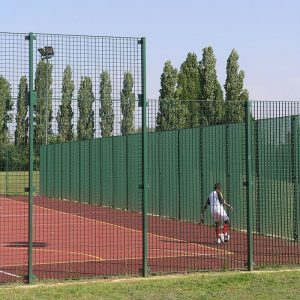 The rigid panels are suitable for high impact sports and provide even rebound without timber boarding. Panels, which are the largest on the market, are made up to 2920x1893mm for a smart appearance and good through-visibility. 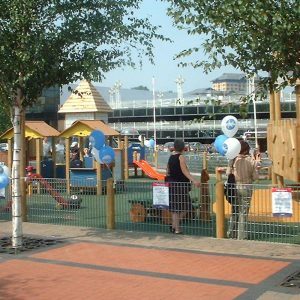 A choice of designs offers a contemporary alternative to bow-top for schools and play areas. 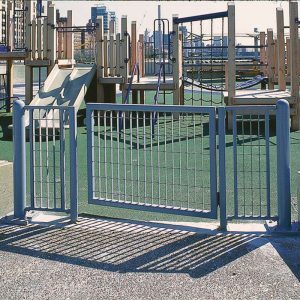 Gates with optional self-closing devices create a secure environment and seamless perimeter fence. Hot-dip galvanizing provides a long-lasting finish which can then be polyester powder coating in any RAL colour.